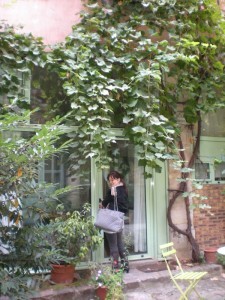 Jess: Here’s the primary memory I have of my trip in Paris visiting you. I GOT SCALPED. A FRENCH WOMAN NAMED SANDRENE SCALPED ME. Do you remember this? Rachel: Of course I remember this! How old do you think we are?! That was only a couple of years ago. I remember that you were going to get your hair cut and I sent you into the salon with a piece of paper that said in French, “Please cut my hair and my bangs. Not too short.” Like you were a little kid with a note for the teacher that I would pin on you or something. Jess: She scalped me. She took out all my hair’s thickness. She chopped it all off. She hated me because I did not speak French. Without my consent, she gave me The Amélie and it did not look good. It did not look good at all. What did you think when you first saw me when I showed up at that bistro? Rachel: I think that haircut only looks good on Amélie. . . I was sad that your gorgeous thick hair was gone, into that weird shape. BUT, if you remember, you wouldn’t even show it to me for the first afternoon, because you’d bought that hat to cover up all of your (remaining) hair. Rachel: So all you remember about your trip to Paris was your haircut? Jess: No! Of course not! 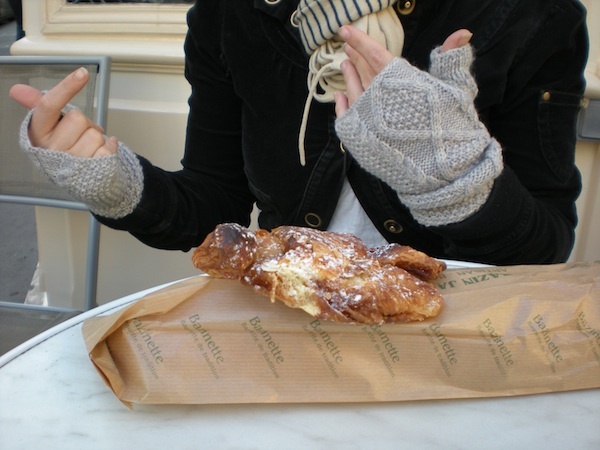 We also ate a lot of almond croissants. 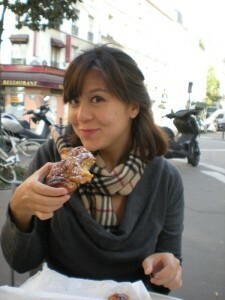 Rachel: From the bakeries near Ledru Rollin. Jess: You took me to a really nice fruit market. 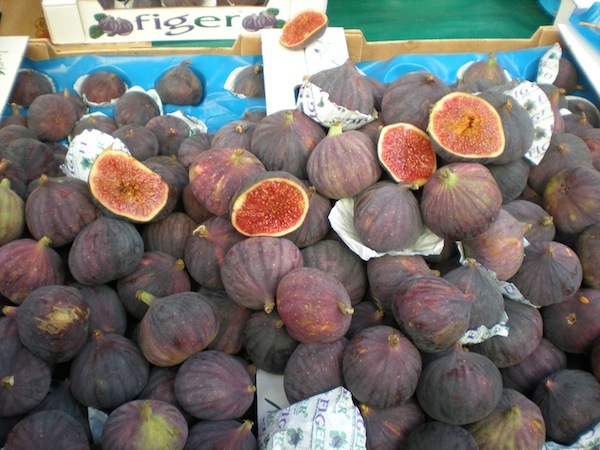 We bought figs. I was going through a big fig phase then. We also bought cheese. Rachel: That was the Marché d’Aligre. Oh my God we were eating so well. 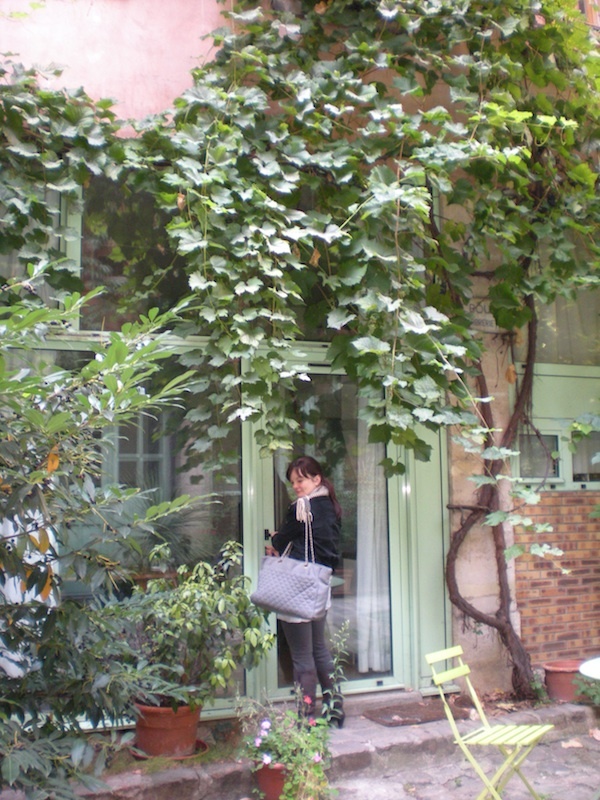 Jess: You were living in this beautiful tiny apartment with a courtyard. It was so nice to sit at the tables in your courtyard. Although your neighbors were really nosy. Rachel: I know, right! When I emailed you about it earlier, you called me a little old lady, but then you could actually hear them and their disco music at all hours of the night. Jess: I also bought some high heels that were semi-cheap but very high. Rachel: Worst decision of your life. Jess: I wore them out when we were going to see some weird puppet show at the Pompidou and after 50 meters on the cobbled streets, I was in the most intense agony I had ever experienced. Every step I took felt like daggers in my feet. I was near tears when we arrived and immediately took the shoes off in the theatre. Rachel: And then I put them on and gave you my boots to wear. Jess: That’s a real friend. That’s the test of true friendship – are you willing to lend your friend your boots mid-puppet performance and wear her cheap high heels home? Rachel: What was your favorite place that I took you? Jess: Easily Rodin’s gardens. Such nice light. And love those statues. Rachel: After you left, I went there all the time. It always reminded me of you! And it’s true, it is a really peaceful, calm spot in a hectic city. Jess: My very first night, jet-lagged from my flight to China, we ate outside (of course) at some café in the 11th that steak béarnaise and frites (real French fries). So good. Rachel: Very good. It was warm that night and we walked home late. Rachel: It was the hottest day on record. Or at least it felt like it. That was one of the whole points of going to a movie theater, which we – as Americans – assumed would be air-conditioned. It was not. Jess: But there was a bathroom just to the side of the screen, and we kept taking turns dunking our heads under the faucet. Jess: Omigod! I remember something else! It was like 4am and we were sitting on a bench talking and drinking and then we realized there was a MAN asleep right next to us who had been there the entire time, just a few feet away. He started snoring so loudly and it was terrifying. Rachel: But we both made it out alive in the end. Jess: Well, my hair didn’t. Rachel: Right. Except for your hair. Takeways: don’t let a French woman named Sandrene cut your hair (ever), French movie theaters are not air-conditioned, drunk men sleep on benches in Paris, but none of it matters because it’s Paris! There are baguettes, almond croissants, figs and steak béarnaise.